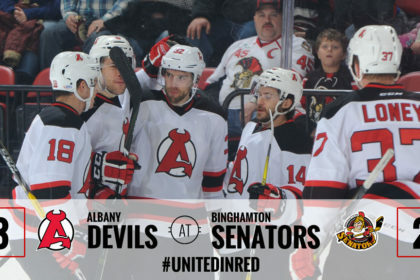 BINGHAMTON, NY – The Albany Devils won 3-2 in Binghamton Saturday as Ben Sexton netted two power play goals. 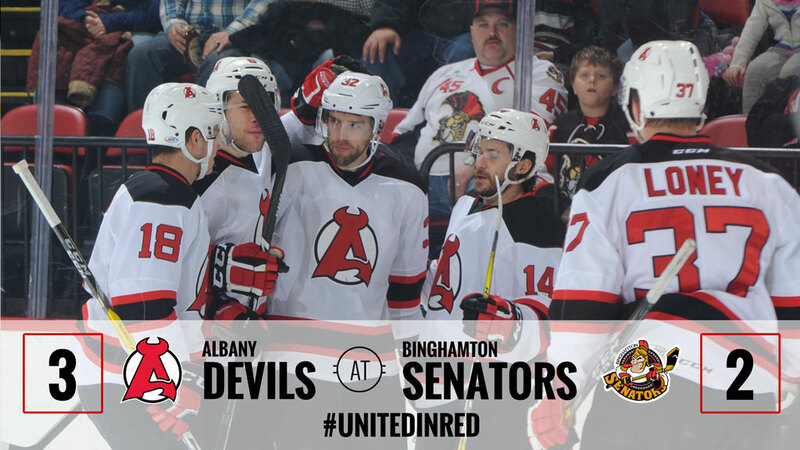 The Devils improve to 22-15-1-1. The Senators move to 15-19-2-1. Sexton scored his second tally of the night and the game winner at 17:25 of the second period on a power play goal. 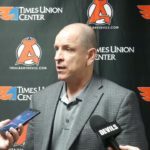 Carter Camper threw Sexton the puck at the top of the slot where he fired a one timer past Binghamton netminder Chris Dreidger. Brandon Gormley picked up the second assist on the play. Sexton opened the scoring at 5:36 of the first period on a power play goal after Max McCormick was put in the box for two minutes for a slashing call. Camper and Ty Loney picked up the two assists on the play. 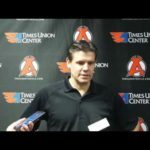 Loney’s assist marked his first point since signing with Albany on January 11. 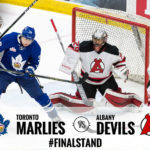 Gormley took advantage of a turnover in the neutral zone and was able to get the rebound off his own shot on Dreidger at 7:19 of the first period. 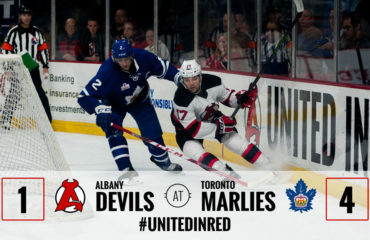 The goal put the Devils up 2-0. 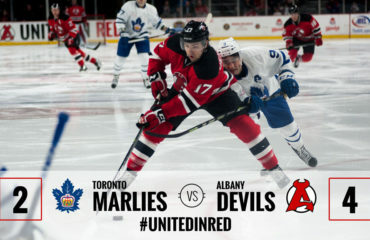 Jason Akeson cut the lead in half at 12:58 of the second with a turnaround shot in the slot that slipped past Devils’ goalie, Ken Appleby. 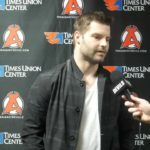 Nick Paul and Ben Harpur picked up the assists. Max McCormick got the equalizer at 14:38 of the second. McCormick’s goal was unassisted. 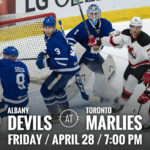 Appleby faced 23 shots, stopping 21 of them. He improves to 9-5-0-0. Dreidger stopped 31 of 34 shots and moves to 8-5-2-1. 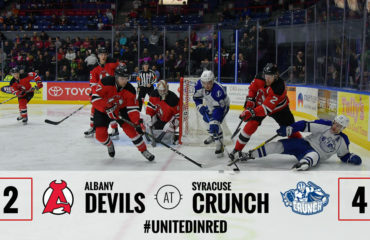 The Albany Devils host the Syracuse Crunch Wednesday at 7 pm at Times Union Center.